When I was about seven or so my Favorite Book In The Whole Wide World was The Phantom Tollbooth. I loved the whimsey, the wordplay, the whole book's crazy literalist take on figures of speech. I loved the story, its sense of adventure and heroism, and of course, the delightfully grotesque style of its illustrations. I had a paperback copy. I remember how big it felt in my little hands, its thickness and weight. I read it over and over and over again, until the spine was worn and crinkled, and to this day I remember the texture of that spine under my fingertips. I remember my pride at being able to read a big book like that. When I was about 40, I decided my kids might be ready for it. I wasn't quite sure, though, so I got a copy to preview it for myself. My experience of the book at age 40 was totally different than at age seven. The first thing I was struck by was the book's size. It's short. In my memory, it was both long and epic. But hold it in your adult hands, and it becomes undeniably short. So I re-read it, and holy crap that book moves. It's jam-packed with everything I remembered and a few things I'd forgotten. But it does not linger on anything. Seems like hardly a page or two goes by without a major shift in the story's setting or events. Put this in your brain bucket: Reading is work. At age seven, The Phantom Tollbooth took me a long time to get through. I would read it after school in my latchkey-kid hours, and days would pass before I finished. Even on my third or fourth or fifth time through the book, it was work. I had to put in effort to get through all those pages and all those words. As an adult the book zips right by. Like there's hardly anything to it. "Gee, this is a fast read," I remember thinking. "Why did this book feel so big when I was a kid?" Well, because I was a kid. Because at that time, I had maybe three years of literacy experience under my belt, not three decades and change. I'm a better reader now than I was then. I read the words and absorb the ideas much faster than I did as a kid. So do you. Reading is work. It's easy work for 40-year-old me, because I've had time to get good at it. For 7-year-old me, it's hard work. Reading at night before going to bed, 40-year-old me is going to chew through fifteen to twenty pages of an average novel. Enough for a few scenes to pass, enough for the story to develop and to keep me interested. That same twenty minutes, when I was seven, might have netted me three pages. When writing for kids, you'd better pack those three pages with the same amount of reward an adult gets in twenty. You better deliver five or six times as much reward per page or you're paying kids sub-minimum wage their effort. The Phantom Tollbooth moves right the hell along, because it knows that its readers have to work hard for every page. It moves fast to amply reward their effort. You can't write a book for kids like you write a book for adults, because the work-to-reward ratios are different. If you try, the kid is just going to say, "This book is boring. Nothing's happening." You may think, "Hey, wait! Give it a few more pages!" Well, no. They tried your book. They put in some work, and it didn't reward them. Why should they give it a few more pages? Nobody wants to work for someone who underpays them. Writers can so easily slip into thinking that children are less sophisticated than we are, and therefore we need to write slower for them. This is exactly backwards. A child's pace, when it comes to stories, is fast as hell. A child's pace is all about scaling the reward each page delivers to the amount of work the audience has to put in. It's about being sensitive to how that work-to-reward ratio changes as kids get older. For the rest of this post, let's look briefly at how this plays out in board books and picture books for pre-literate kids. 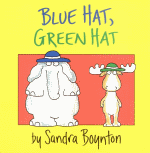 Parts 2 and 3 of this series will examine the rest of the kid-lit categories. I am not a developmental psychologist. These are just my opinions of what works for kids of different ages, though as I hope my reasons for these opinions will become clear. The following categories overlap a lot, kids develop at different rates, yadda yadda. This is just how I'm splitting it up to talk about it, 'kay? Ah, board books. Those chunky, stiff-paged books for the pre-verbal and toddler set. At the youngest end of the scale kids are not so much reading a book as they are looking at an object. If a kid is looking at your board book on their own, the work is in practicing the physical manipulation of the object. It's in figuring out which way to hold it so that the book opens. It's in figuring out how to turn the pages. The reward is getting to see a new, brightly colored picture, something that's different and visually stimulating, for having successfully operated the book. As well, kids get an internal reward from the sense of accomlishment in doing so. A well-executed board book, having new, vivid pictures on each page, motivates the kid to keep turning pages. This is a good thing. You're teaching the kid how books work, and that they should in fact expect to be rewarded for their book-oriented efforts. None of that work leaves room for an actual story. And in fact, there are plenty of board books out there that don't have any words at all. The physical constraints of the board book medium--a dozen or so pages with at most a handful of words on each page--is a serious obstacle for conveying much content at all. Which means board books are not about telling stories. Board books are about presenting concepts. Really basic concepts. Pick a concept you want to convey. Figure out how to convey that concept through pictures. In board books, the art carries the majority of the book's meaning, because pre-verbal kids are by nature very visual. If you need any, write supplementary text to go along with the pictures. The words are there largely to give verbal labels for the concepts presented in the art. If you can layer some kind of implicit story as a bonus, great. Just keep it secondary to the concepts and the art. Like I said, basic concepts. But it does teach all these things, and it does it in less than 50 words. Boynton constructs the text to establish a pattern and then break the pattern to highlight how the turkey character puts all his clothes on wrong. There isn't really any story, but the concepts are great. Every page gives the reward of teaching a new clothing word, practicing color words, plus the humor of watching that silly turkey. If you're trying to write for kids who haven't even got the whole "words" thing figured out yet, you could do worse than to pitch your books here. You all know what I mean by picture books: typically thin, hard-cover books with glossy, color artwork pages, and anywhere from a sentence to a short paragraph per page or two-page spread. The big change from board books to picture books is that by the time kids are physically capable of not tearing ordinary paper pages, they are also deep in the thicket of language acquisition. Which means they can say a lot of things, understand even more, but are still figuring out lots of other stuff about how their native tongue works. They are verbal, but not yet literate. Sure, kids will look at picture books on their own, but generally we expect adults to read the books to them. This means the work is different. 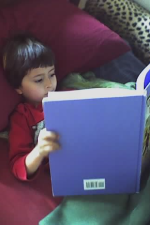 The work might be in convincing Mommy that yes, there really is time to read a book before leaving for preschool, or in sweet-talking Daddy into reading just one more (just one? pleeeze?) before lights-out. However they swing it, the subsequent work is in listening and learning the structures of formalized written language. Written language is different than spoken language. It's neater. Tidier. All the rough edges of casual, spoken languages have been sanded off. It is, in certain senses, a distilled form of the spoken language. As such, it is an invaluable language acquisition tool. Still. If you think it isn't work teaching yourself a language while also struggling with potty training, I know a possee of kids who would like a word with you. The rewards in picture books come in several forms. Cuddle time with parents; lavish illustration; enjoyment of the story itself, and the internal goal-achievement rewards that come with learning words and language patterns. With picture books, you're moving on from concept presentation to language learning. Yes, a good picture book also entertains, but its core function in the reader's life is to help kids learn their language. Thus, picture books demand the best possible text, which explains why they make such frequent use of the poetry concepts of rhyme, meter, and alliteration. IMHO, Dr. Seuss really started this. His classic works ooze those concepts from every syllable. Picture books give you vastly more space for text than board books, too. The pages are often large (A4/Letter size or larger), and the page count is higher. For history-of-printing reasons, typically 32 pages. At last, room to actually write a story! The stories focus on one central challenge. There are no subplots. There are no tangents. Just a stripped down story structure consisting of an inciting incident that reveals or creates a situation; characters reacting to the situation and ultimately dealing with it. The stories involve minimal conflict. They rarely involve an explicit protagonist and antagonist. Typically all the characters in the story are cooperative or supportive of each other in some way. Kevin Henkes' Lilly books are excellent examples of that. Think people-vs-situation, not people-vs-people. The stories' challenges often center around the same issues of personal growth and achievement that young children face. Challenges are often internal, relating to making difficult choices, dealing with difficult emotions, and learning new skills. The challenges the stories present are often softened with humor or elements of the fantastic. Though the illustrations remain essential to the book, the core meaning is now carried by the words. The book offers layers of reward: the more times you read it, the more stuff there is for you to notice about the story, the way it uses or plays with language, easter-egg details hidden in the art, and so forth. 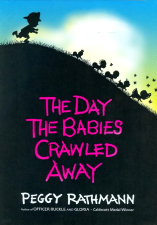 Peggy Rathmann's The Day the Babies Crawled Away has to be one of my all-time favorite picture books. It does such a phenomenal job of layering its rewards that even I never got tired of it, no matter how many times my kids requested it. This, despite at one time having the whole book committed to memory. For a sleep deprived parent, that was a godsend. I loved being able to read the book to my kids with my eyes closed. And hey, the story is cute with a whole lot of heart. Remember the day the babies crawled away? Remember the way you tried to save the day? You hollered, "Hey, you babies, stay!" But none of them did. And some of them hid. I say! What a day, when the babies crawled away. Strong meter, though not so rigid as to force the language to contort itself unnaturally. Repetition: The phrase "the babies crawled away" shows up all over the book, anchors each page into the whole, and creates a musical cadence that carries through the story. Alliteration: Every page turns out to have at least one meaningful element that starts with the letter 'B'. You have no idea how long it took me to notice that, but once noticed, it's obviously intentional. The story elements are spot-on: the unnamed protagonist finds himself shepherding a bunch of rogue babies through one hazard after another, after they crawl away from a summer picnic. It's one central challenge, no inter-personal conflict, lots of subtle humor and fantasy. And artistically the book is gorgeous. The art is simple, all done in stark black silhouettes against sunset-themed color backgrounds. Yet despite its minimalism, the art is packed with wonderful details. This is one of those books that you want your kids to pick over and over because you know there must yet be more to see than you have noticed yet. Layers, man. Layers. That's how to do it. This is getting long, so I'm going to stop with the pre-literacy book categories. Stay tuned next time for the early literacy categories of Advanced Picture Books, Early Reader Books, and mysterious "CBWTW" books, a category so new the industry doesn't even have a name for it yet!